When Eric Schmidt stood on stage earlier in the week with one of his posse members for a walk-through demo their new Movie Studio app, we nabbed as many pictures as we could to give you guys the first gallery of it. 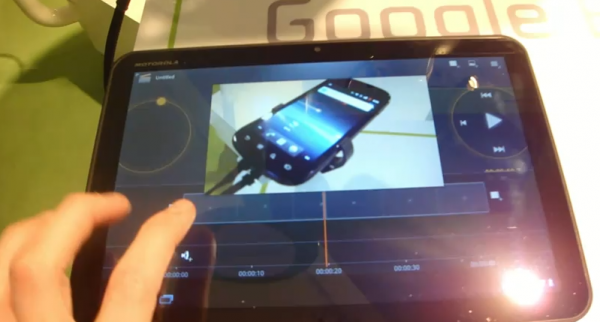 And now, as MWC winds down, the crew over at Frandroid seems to have found some alone time in the Android area with nothing but a XOOM and a video camera. The results…this 8 minute in-depth look at this fantastic new Honeycomb movie editor. Oh, we should probably mention that it’s all in French.